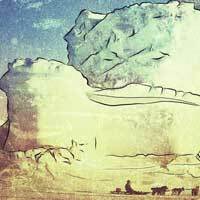 Inspired by the real-life race to the South Pole, this Obie-winning play by Academy Award-winning writer Ted Tally (Silence of the Lambs) tells the true story of English explorer Robert Falcon Scott, who led an expedition across Antarctica in 1911, only to find he'd been beaten to his goal by a Norwegian team. A victim of British aristocratic pride and hubris, Scott's trip back across the frozen wasteland with his team turns tragic, while flashbacks to his prior life with his young wife sheds light on his motivations. See this Three Crows Theatre production at the Piven Theatre in Evanston.